A Heritage location in the heart of the city. 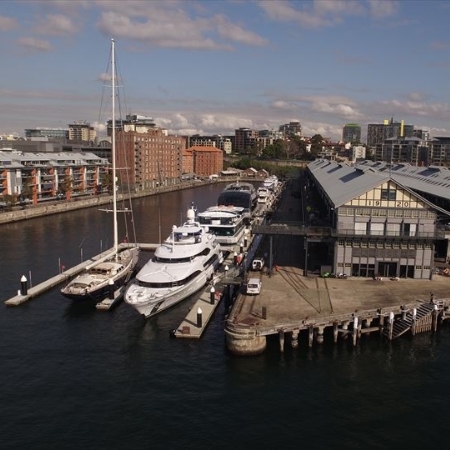 Built in 1919 as an integral part of the port of Sydney, Jones Bay Wharf was redeveloped in 2003 into a privately owned commercial marina catering to a range of maritime clientele from premium brokerage houses, commercial charter vessels to visiting international superyachts and on shore events. Located just beyond the world-recognised Sydney Harbour bridge, no other landing offers the same level of city proximity and sheltered private surroundings.